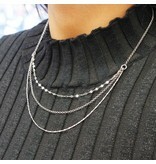 Rhodium plated Sterling silver Layered Necklace with 3 different types of links. 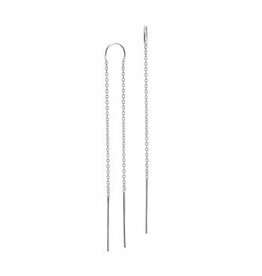 This bar earring pair is lightweight with a smooth shiny finish. 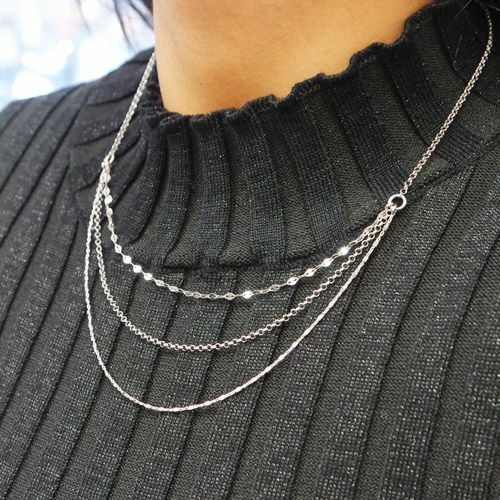 A modern and trendy way to spice up any and all outfits.